 I think people are not responding to this thread because they are having trouble downloading the images. I have no problem at all seeing the images, and I have to say they are superb! I think it's a very nice presentation. 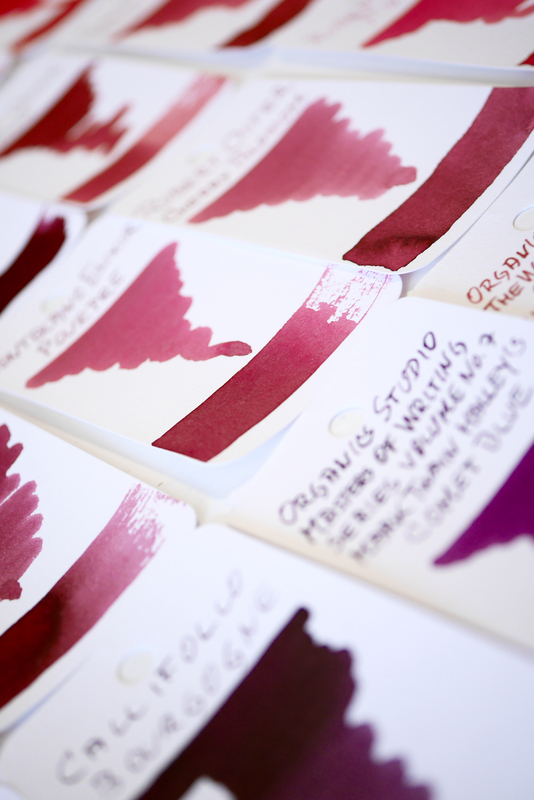 A few of the inks I have and it's a nice reminder to use them very soon. Excellent work. Thank you for this, Michael R.! Yes, the images are large, but it was worth waiting for them to download. 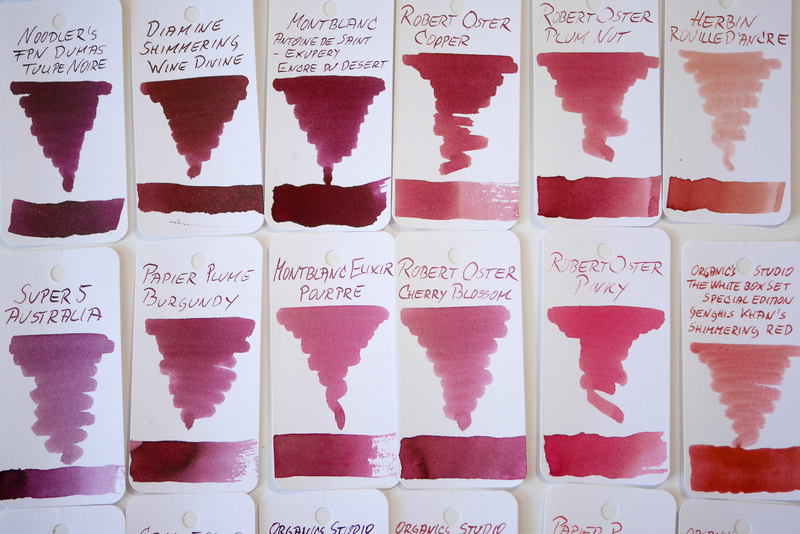 I don't have any of these, though I've tried a few of the purples in the past. I haven't found a dark/smokey purple that I like as much as I'd hoped to. The assortment you present here is really great. 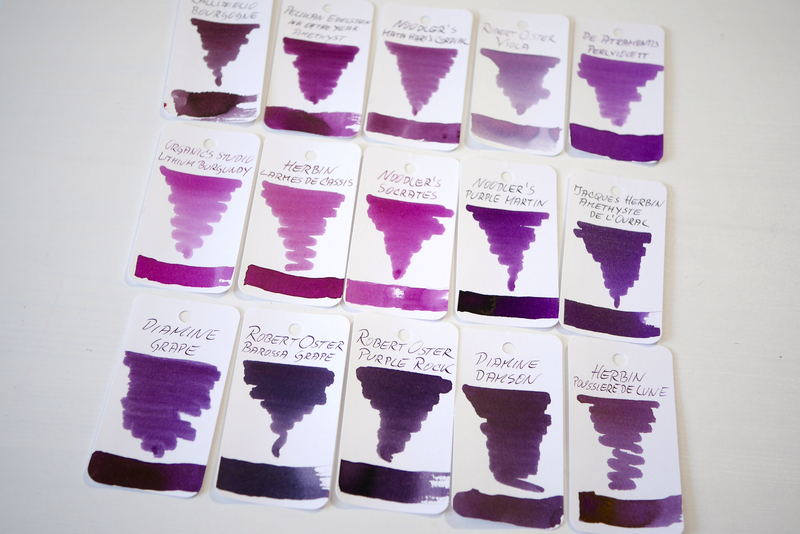 I'm adding Noodler's Purple Martin and Herbin Amethyte de L'Oural to my sample wish list. Thanks! 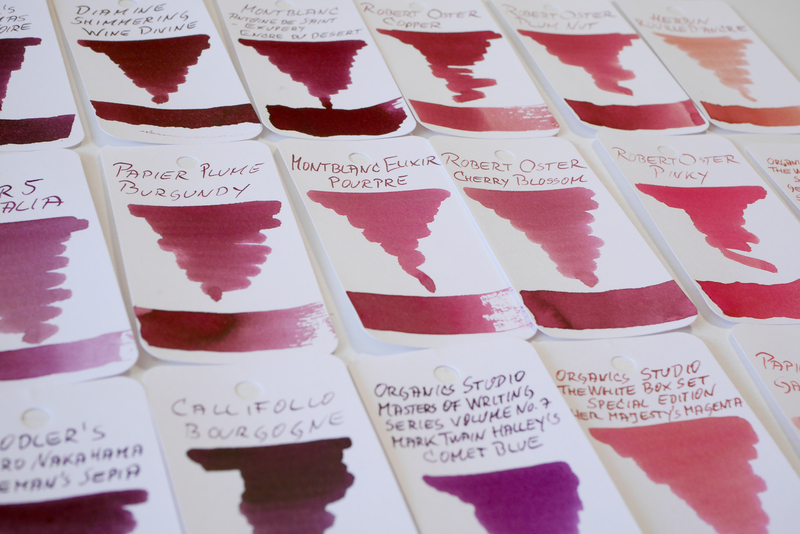 This is a family of colors I like and use a lot! Also I will keep in mind linking images with a slightly lower resolution. Very nice and very helpful, thanks! Splendid comparison tables, thank you for sharing them with us! No trouble seeing the images here. I really like those little cards - what type of paper are they? Beautiful comparison! 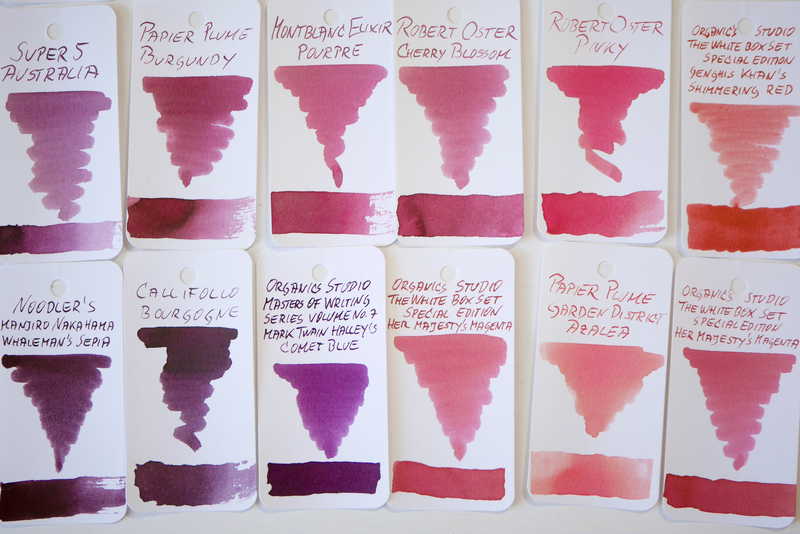 I must try Robert Oster Cherry blossom and the Organics Studio one. 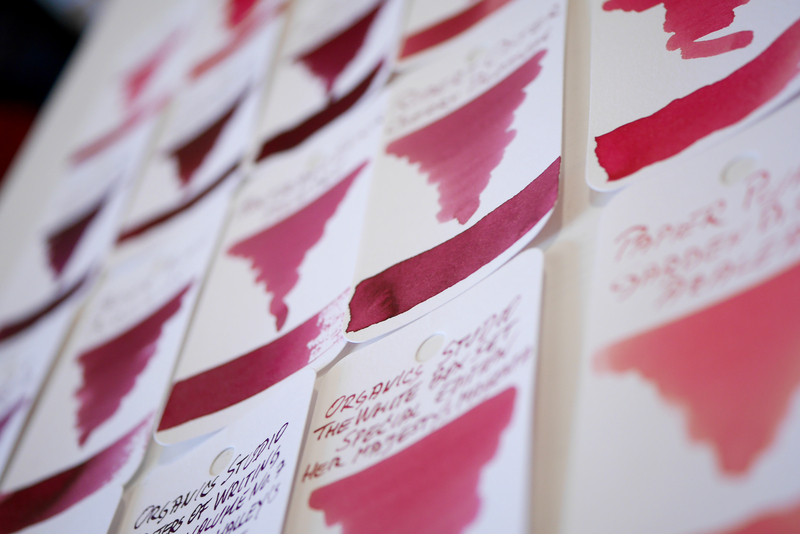 The paper is from the Col-O-Ring ink testing booklets (https://www.inkjourn...book-100-sheets). AMAZING. The images are large and take a little while to load but they are wonderful. I like the large images , i'd keep doing them . This is an excellent review and well worth the few seconds wait for the pictures to load .